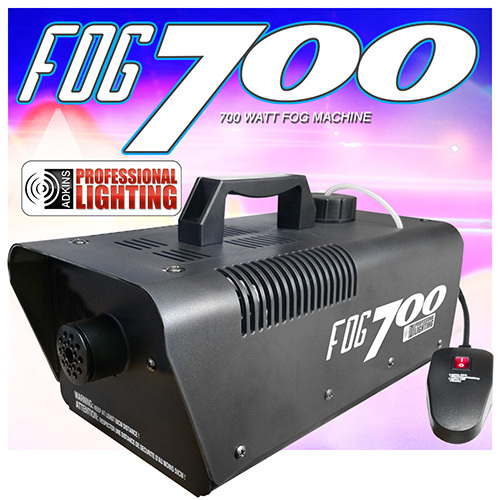 You can party all night with special effects with the Adkins Pro Lighting 700 Watt Fog Machine. It produces thick water-based fog and generates 2,500 cubic feet of fog per minute. This is great for Halloween parties as you can add special effects, fun and excitement. Includes a wired remote. Powerful 700 Watt Heater Includes Remote Produces thick water-based fog Displaces 2,500 cubic ft. of fog per minute Weight: 6 lbs. 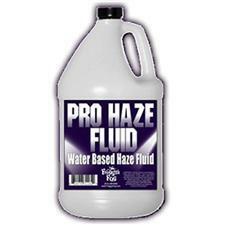 Fog Pro Haze Fluid - Designed to generate an excellent haze through any facility! 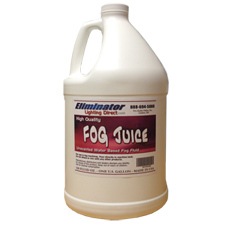 Creates a thick, rich cloud of fog from any fog machine! 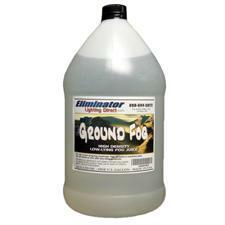 New formula - Super Thick - Long Lasting - Designed for low-lying fog machines!